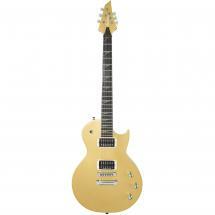 Are you looking for luxurious, affordable guitar? Look no further than the Fazley FST118BZ! This ST-model offers a lively sound and a chic finish you'd normally find on guitars in a much higher price class. 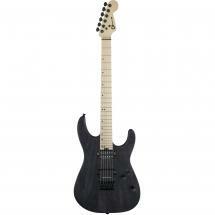 The FST is an ST-model with three single-coil pickups. In the first position, you get a clear tone with just the right amount of warmth without sounding shrill, in the second (middle) position, you've got a bluesy sound, and the third position, you've got a rock sound for serious shredding! There are also two positions in between for swinging, funky sounds. The body of this electric guitar is made of basswood, which keeps it lightweight and gives it a transparent, airy tone as well. The maple neck adds a bit of brightness while the blackwood fretboard adds some warmth. The result is a balanced sound that's suitable for a wide variety of genres. Whether you're just starting out, or you'd like another guitar to add to your collection, the Fazley FST100BZ is a great option! 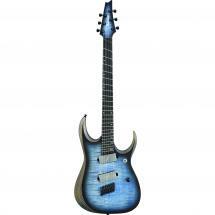 Please note: models with 00 in the type number have a fretboard made of rosewood. 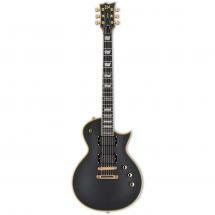 Models with 18 in the type number have a fretboard made of brown blackwood.